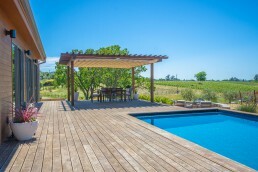 In the heart of Napa Valley, you’ll find the gateway to wine paradise. Tucked between rolling vineyards, the riverside city of Napa is becoming a popular destination for wine connoisseurs alike. Mixed with late-1800s architecture, rejuvenating luxurious spas and a delectable selection of restaurants, Napa has become more than just a spot to grab a glass (or bottle) of wine. While most people make travel arrangements and book charming B&Bs when planning a visit, the Hartgrings are happy to call this utopia home. Keen to design an environmentally friendly space, they teamed up with Blu Homes. 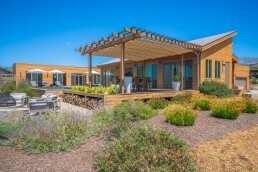 The result, a unique prefabricated home designed with open spaces, natural light and floor-to-ceiling windows to peer into the wonderful world of wine. 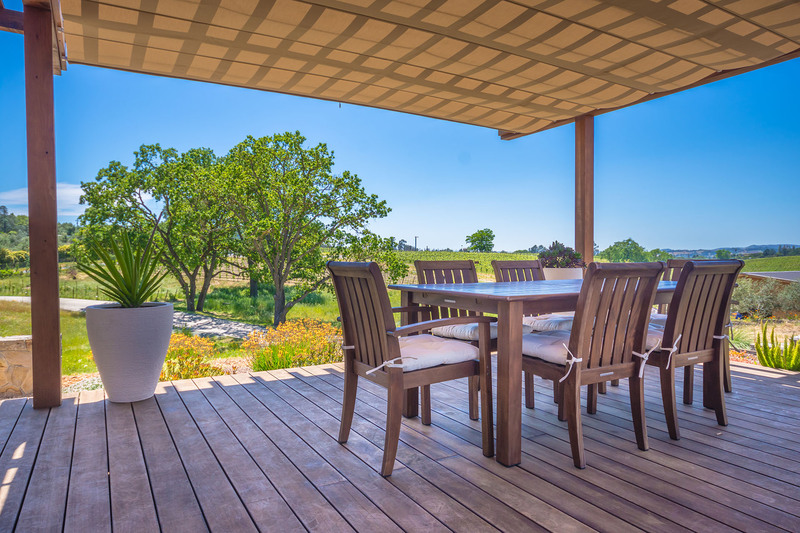 With plenty of sunshine and temperature in the mid-80s through the summer, shade becomes a necessity to comfortably relax, and enjoy the Napa views. 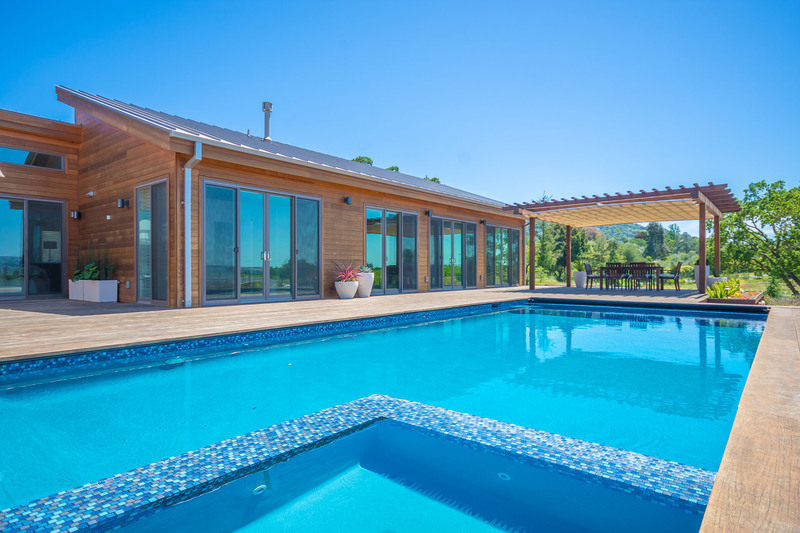 “We had a house built in Napa, California by Blu Homes with lots of windows, and a large deck facing West. 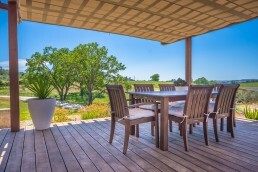 The space offers great views of the vineyards, but we knew we had to add shade to shield against the Western sun. 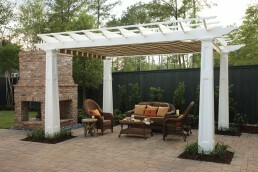 Comparable to the perfect pairing of wine and cheese, the pergola and canopy harmoniously tie into the theme of a Blu Homes build – attractive yet functional; excitable yet tranquil. 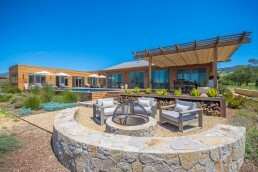 This combination is the perfect lifestyle for the Hartgrings and luckily for them, reservations are not required. 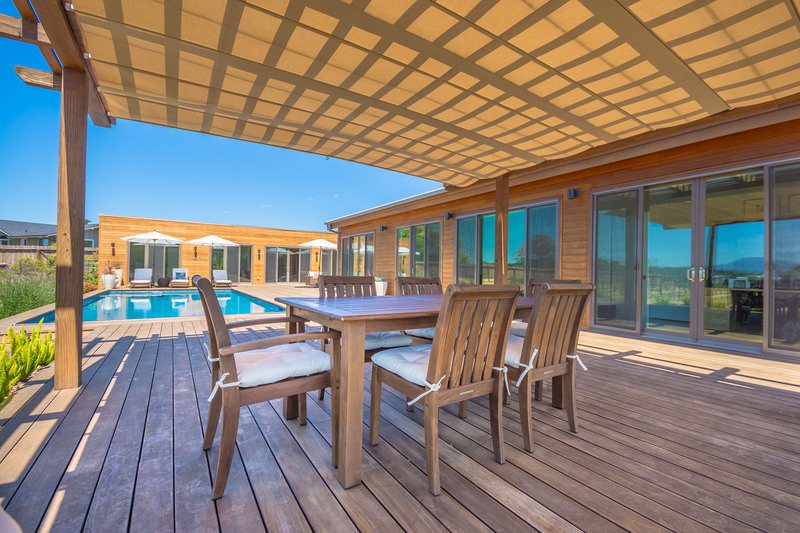 Whether prefabricated or built on-site, ShadeFX retractable shades can be customized to fit space. Ask us how. 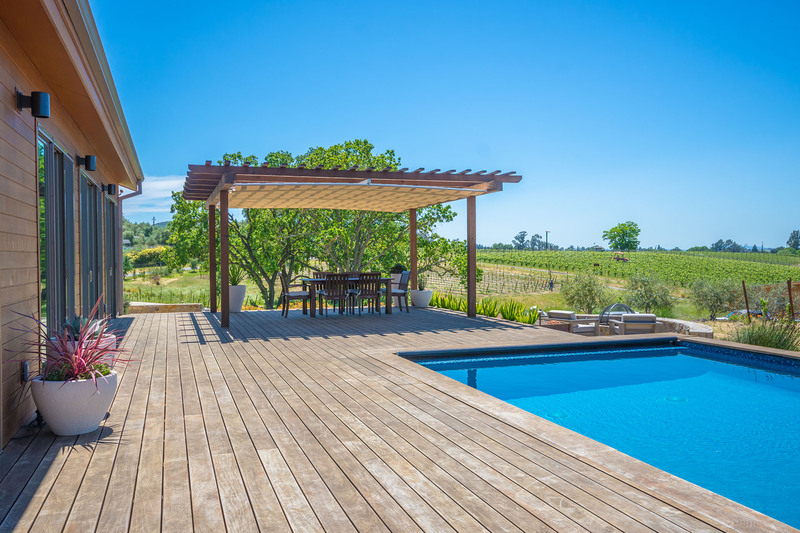 The Hartgrings knew they needed shade for the large West-facing deck on their Napa Valley home. 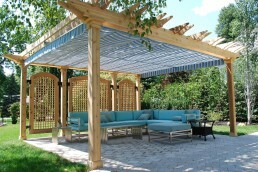 After reviewing many options on the market, they decided to build a pergola and pair it with an 18’x16’ manual retractable shade from ShadeFX. The pergola and canopy harmoniously tie into the theme of the Blu Homes build – attractive yet functional; excitable yet tranquil.